Laid down in 1942 at New Jersey Shipbuilding Co., Barber, N.J. 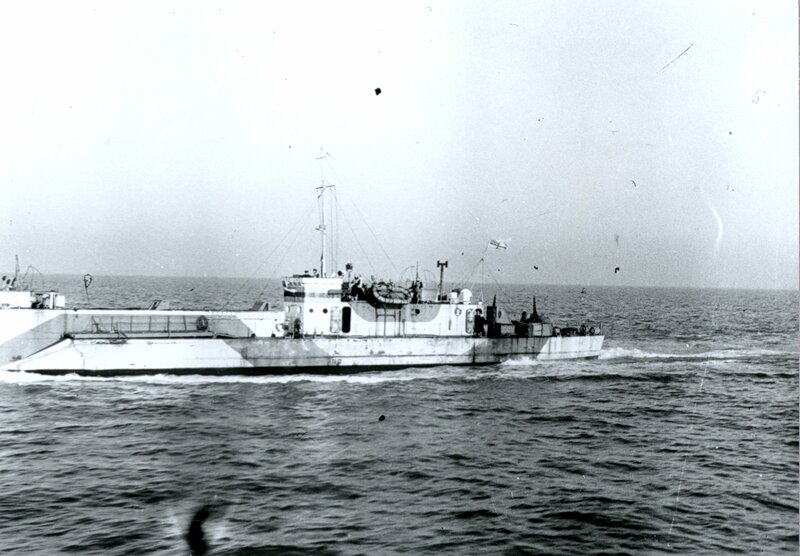 Final Disposition, sold by the Maritime Commission, 18 March 1948, fate unknown. 1697k HM LCI(L)-242 and HM LCI)L)-256 disembarking American army nurses in Naples harbor, while a human chain passes supplies to dry land. Nurses were desperately needed during the early days of Allied occupation. 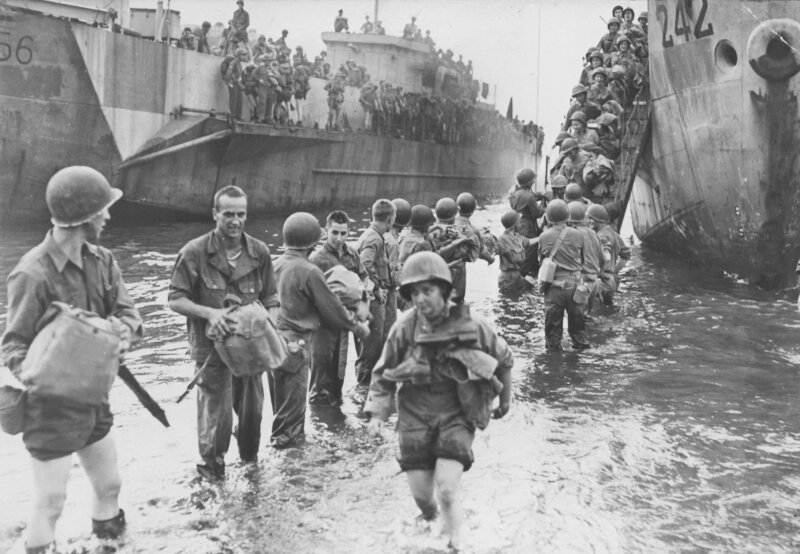 Landing craft were used to bring personnel and supplies ashore at Naples while docking facilities were unusable because of German demolitions. The Allies were able to restore the docks four days after liberating the city.